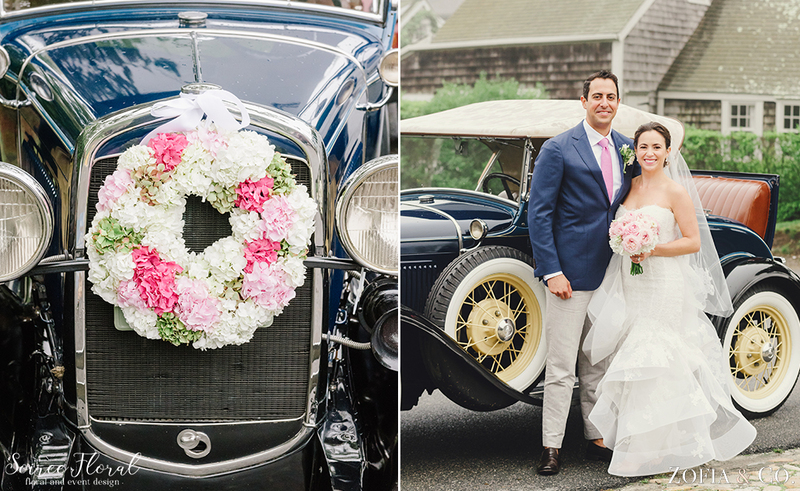 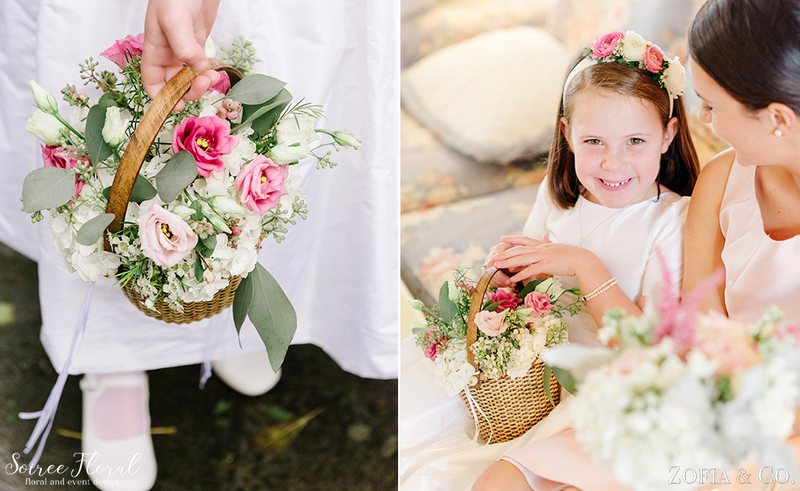 By the looks of it, this Nantucket Golf Club wedding went off without a hitch. 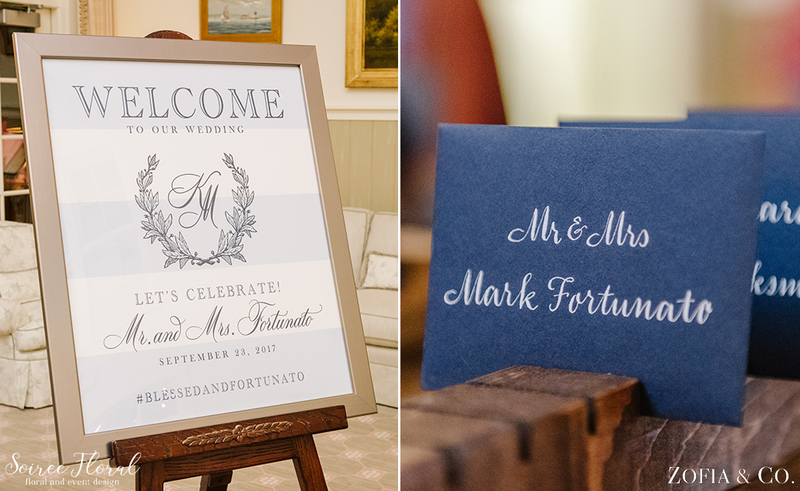 Well, Mother Nature had some other plans that weekend, but Katie and Mark didn’t let that interfere with theirs! 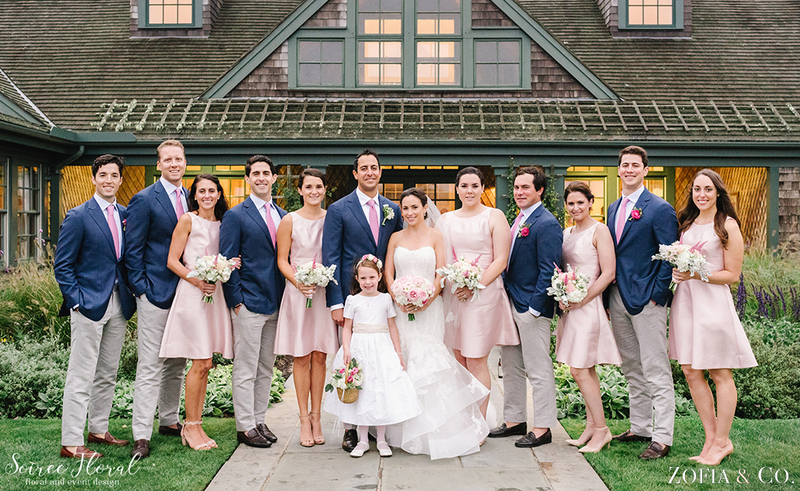 After weathering the storm and landing on Nantucket, the two said “I Do” at the ‘Sconset Chapel surrounded by their friends and family. 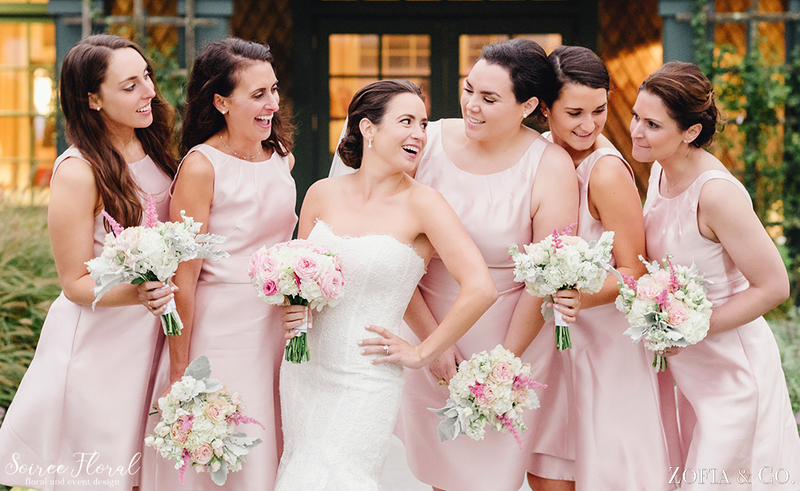 Katie wore a gorgeous Monique Lhuillier gown and her bridesmaids wore short, blush silk dresses by Coren Moore. 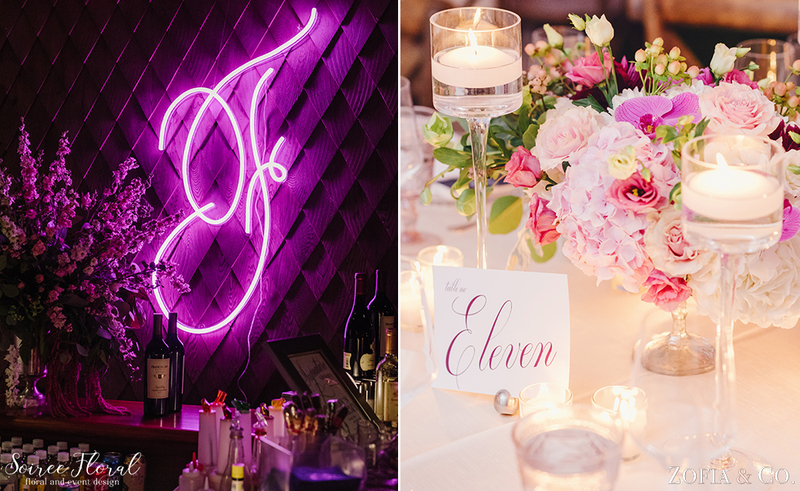 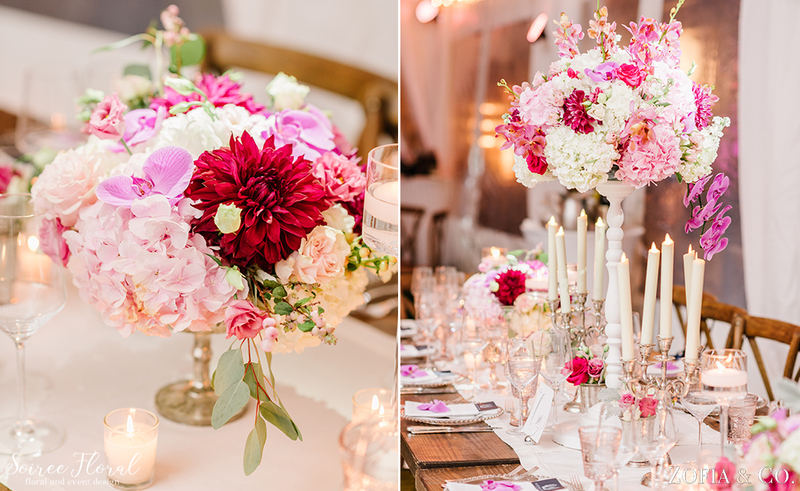 Florals for their wedding and reception ranged from white to blush to burgundy – a perfect balance of what fall has to offer without feeling too heavy. 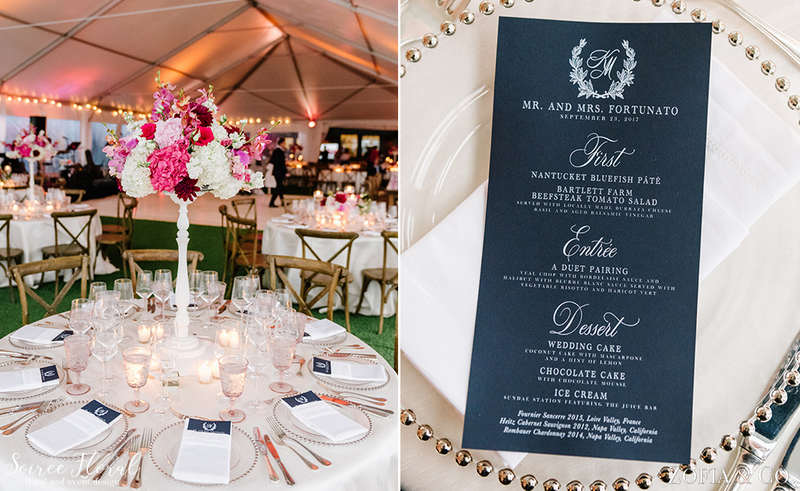 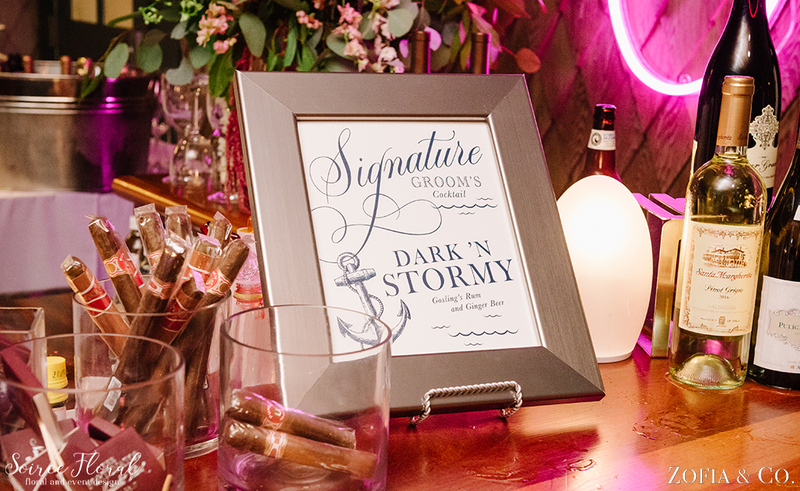 Blush was a common thread throughout their day, from the girl’s dresses, to the linens and even the rose-colored goblets from Placesetters, Inc. To anchor the blush, we used shades of pink to burgundy in the centerpieces and navy for the menus at each guest’s place setting. 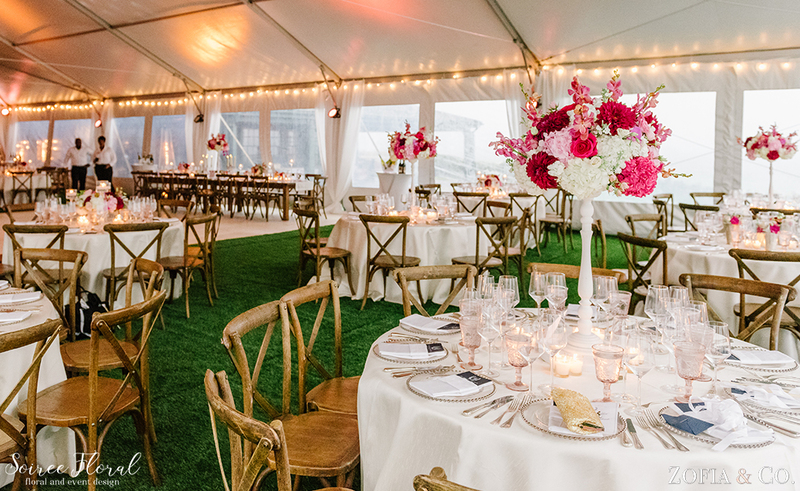 Candlelight filled the tent with a warm glow, the weather calmed and all was well. 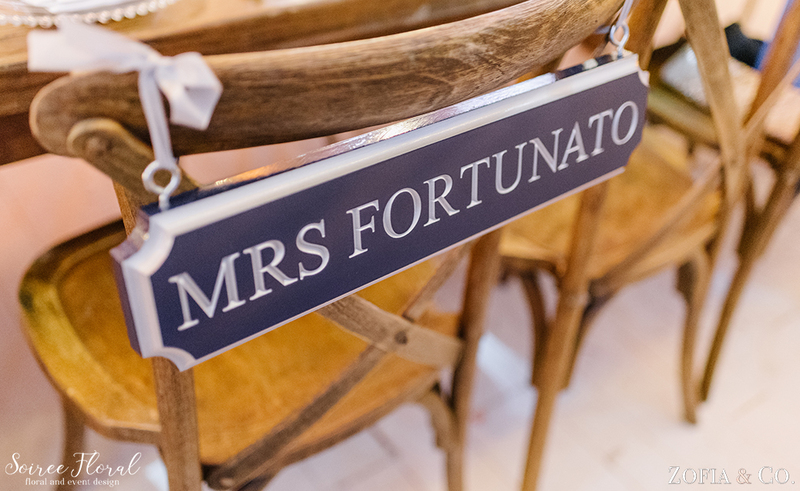 The couple and their guests spent the night dancing and singing along with the Sultans of Swing. 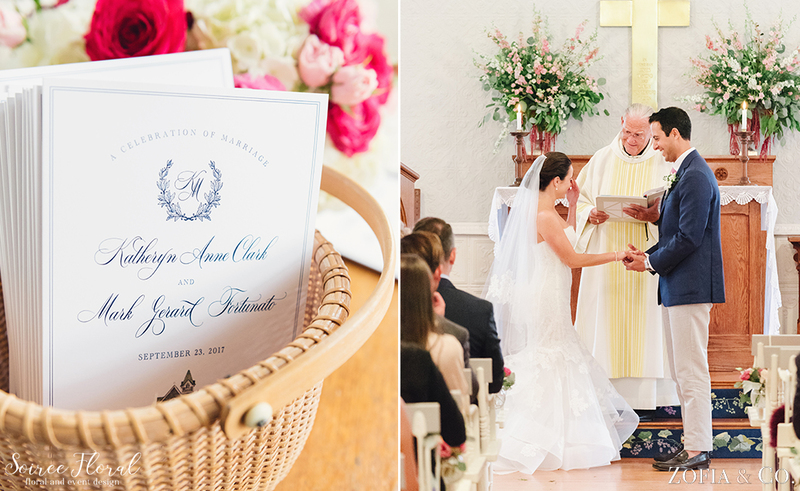 See more photos from their wedding on Zofia & Co.’s Blog.